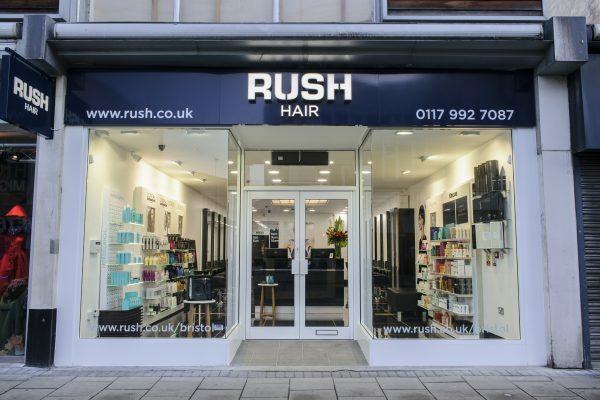 Situated on The Horsefair, Rush Bristol was the company’s first salon in the West Country, perfectly placed for retail therapy lovers who want take a break from the hustle and bustle of the shops and let the team fulfil all their hair desires. Start off with an indulgent head massage in the relaxing, low lit spa. Then sit back and enjoy a read of your favourite magazine, with a hot or cold beverage while your Rush Bristol stylist understands your hair needs and works their magic for a bespoke cut, colour or treatment perfect for you. They want you leaving feeling fabulous so you could take on the world, or at least the rest of the shops. Sound good? They hope so. The team at Rush Bristol are an impressive team of hair stylists who live and breathe the latest hair trends and cater to your style needs. Offering personal style services and in depth colour consultations, their clients are their number 1 priority. Fancy something different? They are experts when it comes to adding texture to your hair, drop in and have a chat about our Brazilian Blow dry and Hair Extensions. Or treat your hair to one of the luxury hair treatments tailored to strengthen, deep condition, add moisture and shine back into your hair. If it’s aftercare you’re looking for, you’re come to the right place. From L’Oreal Professional, to Kerastase and Moroccan Oil, they only sell the professional products that they’d use ourselves, so you can be sure that you have a great hair day, every day. Rush Bristol’s 50% Off Colour Day is on Tuesday. For all offers listed please see terms & conditions on their offers page.